A New Community Rises In The West Bank ... And It's Not Israeli : Parallels Much of the new building in the territory involves Jewish settlements. The Palestinians now have a new city, but the project has been slowed because until recently Israel did not allow a water hookup. A Palestinian couple walks by an amphitheater under construction in Rawabi, a Palestinian real estate development in the West Bank. 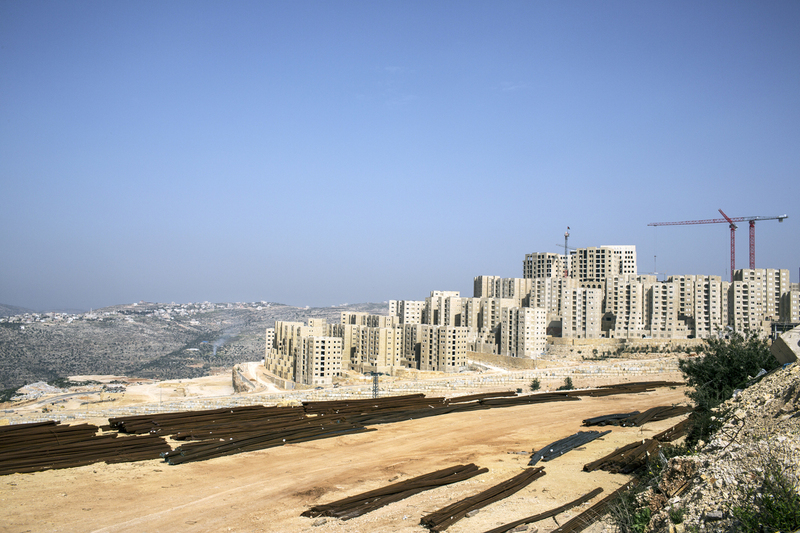 The couple lives nearby in East Jerusalem and says they are looking to buy in Rawabi as an investment or as a vacation home. 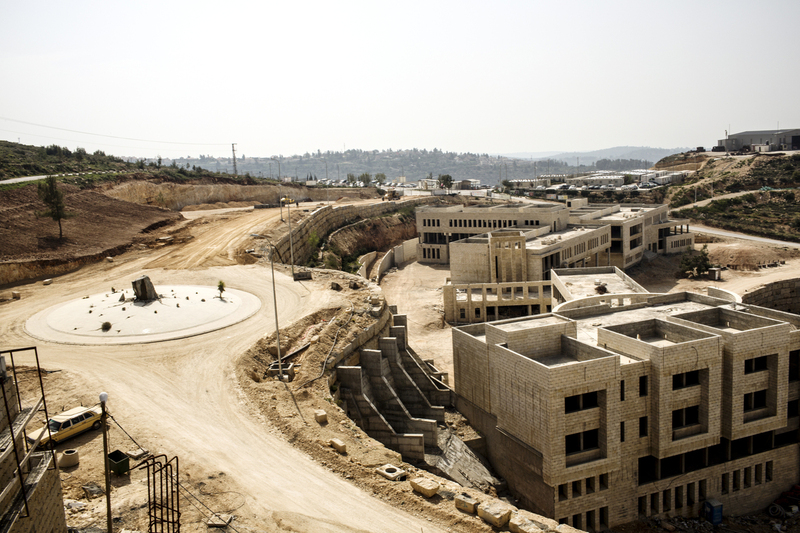 Construction in Rawabi, a Palestinian real estate development in the West Bank near Ramallah. 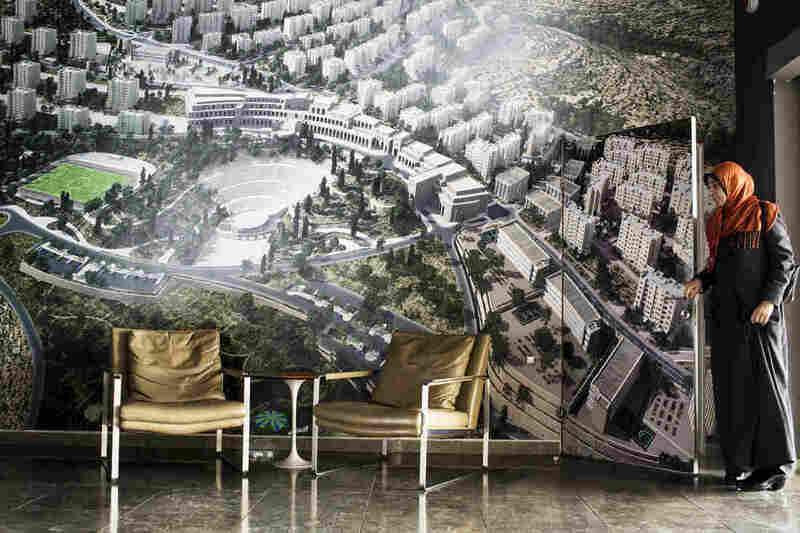 There are some 5,000 homes in the first such planned community in the Palestinian areas. A Rawabi visitor exits the bathroom, which blends in with the photo of the new town. 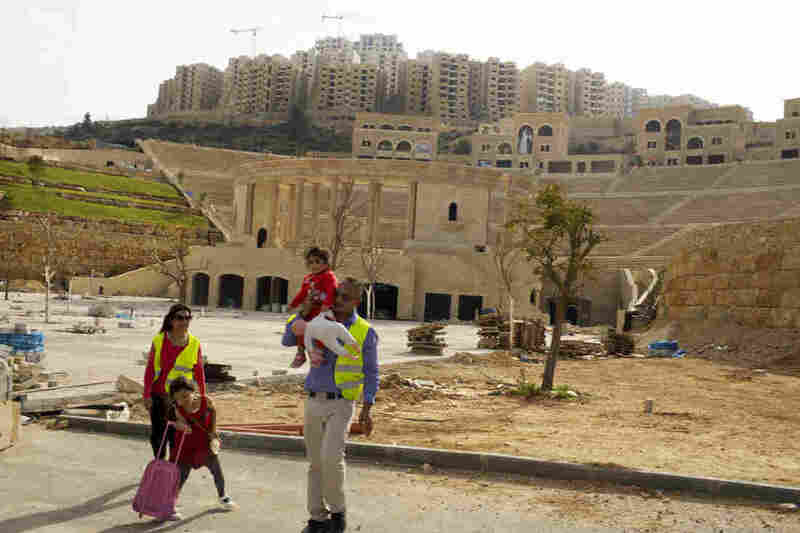 Rawabi will have three schools — one for girls, one for boys and one that will be mixed. 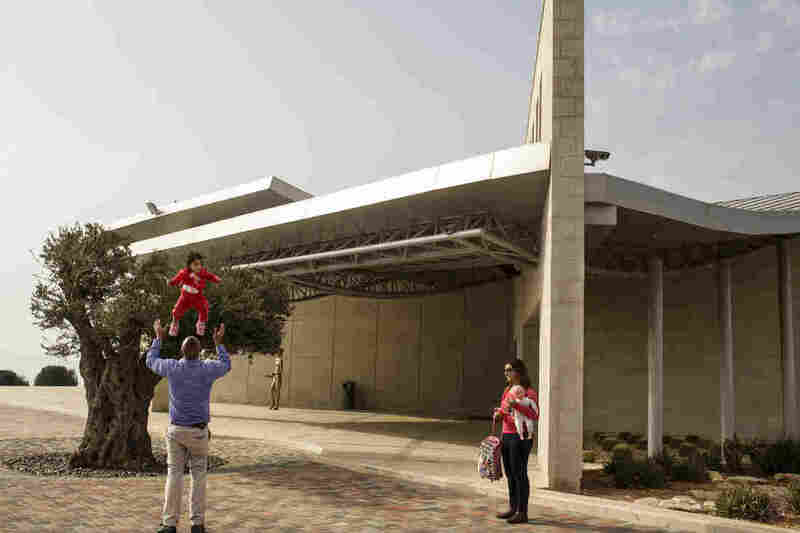 A Palestinian family leaves the visitors center at Rawabi. Palestinians exit the Rawabi showroom after viewing the development. On the ridge behind the Palestinian flag is the Israeli settlement of Ateret. 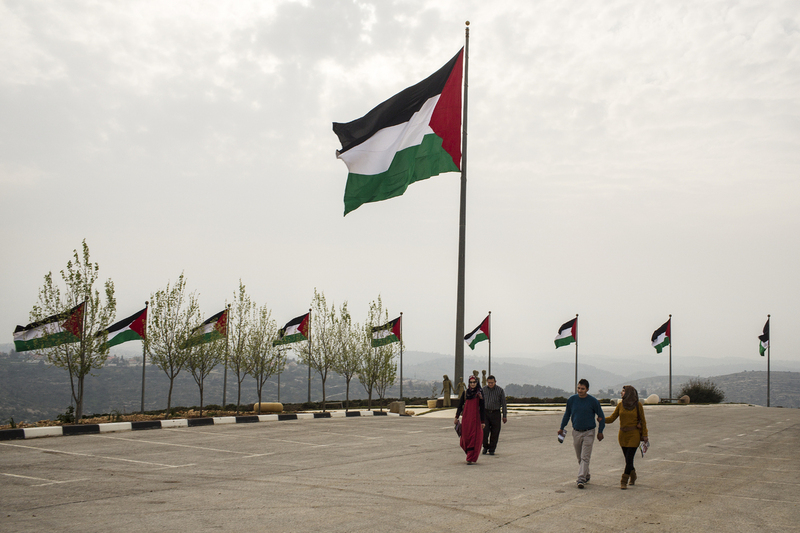 The flag, billed as the biggest Palestinian banner, has been stolen three times, Rawabi employees say -- and they blame Israeli settlers.